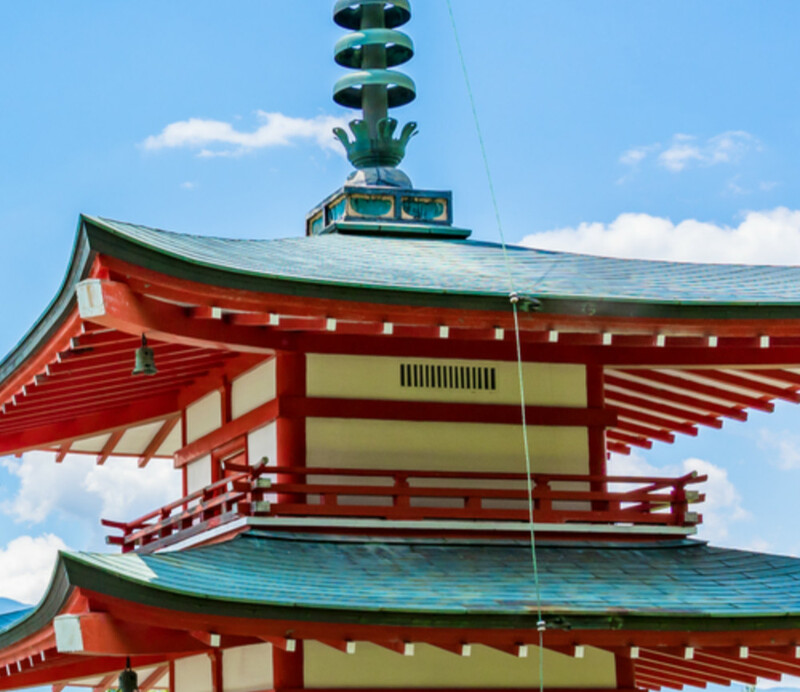 There are countless five-storied pagodas in Japan and anyone who has been to Japan is expected to post photos of the five-storied pagoda on social media. It may be the one with Mount Fuji in the background or the one at Sensoji Temple or close to Kiyomizudera in Kyoto. 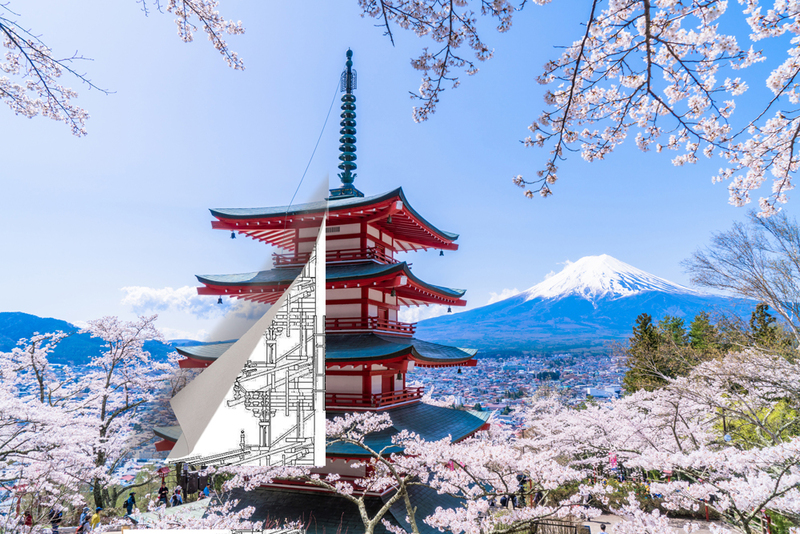 Have you been curious to know why the five-storied pagoda doesn’t collapse despite there being so many earthquakes in Japan? Let’s learn about the architectural genius that makes this possible. First of all, keep in mind that you worship and not climb the pagoda. The five-storied pagoda originated from India’s stupa, a small mound built for the remains of Buddhist priests. Later, it was introduced to China with Buddhism, following which it made its way into Japan after incorporating the architectural style of the Chinese pagoda (塔,Tǎ). The five layers represent the five major elements: earth, water, fire, wind and air. Even the various parts of the sorin (spire, or finial, lit. alternate rings) have different meanings. 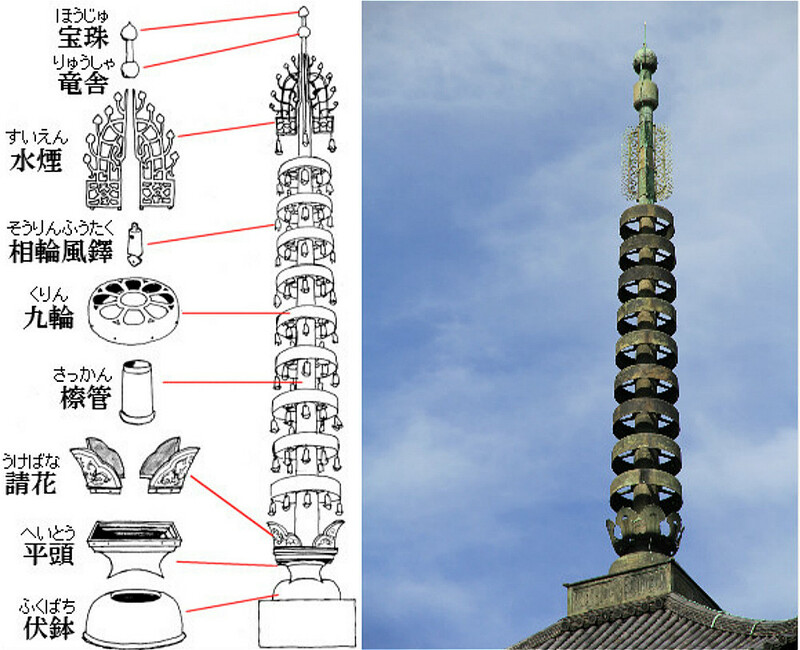 Since the pagoda is not meant to be climbed, you will also notice most pagodas do not have any windows. There are a few exceptions to this in Japan! 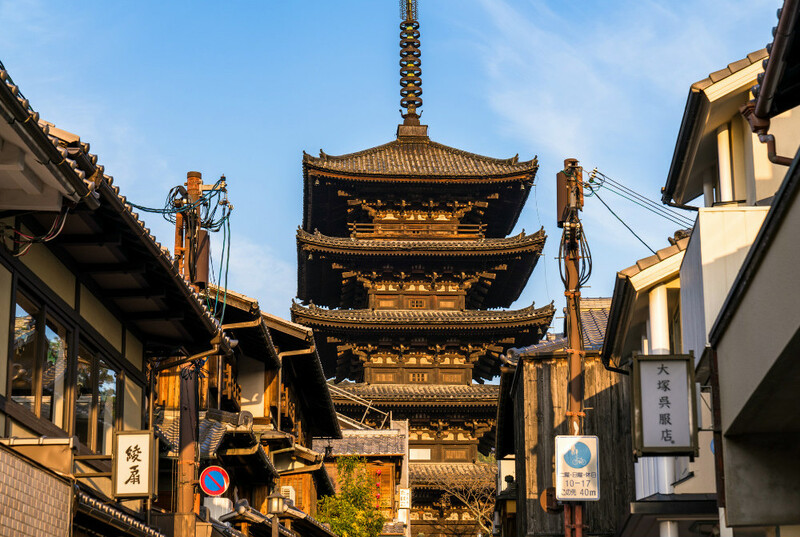 As is known to all, Japan is an earthquake-prone country, but since ancient times, there has never been a record of the collapse of the five-storied tower due to an earthquake. How incredible! How can the seemingly weak wooden towers have such a strong anti-seismic function? All the secrets are actually hidden in its internal architectural design. As we have seen from the outside, the five-storied pagoda is made up of five layers like overlapping blocks. But the inside is hollow, there are no stairs but only a central column or pillar that runs from the top to bottom called Shinbashira (心柱, lit. heart pillar). Each of the four layers have no point of contact with this core pillar except where it is supported at the sorin (finial). 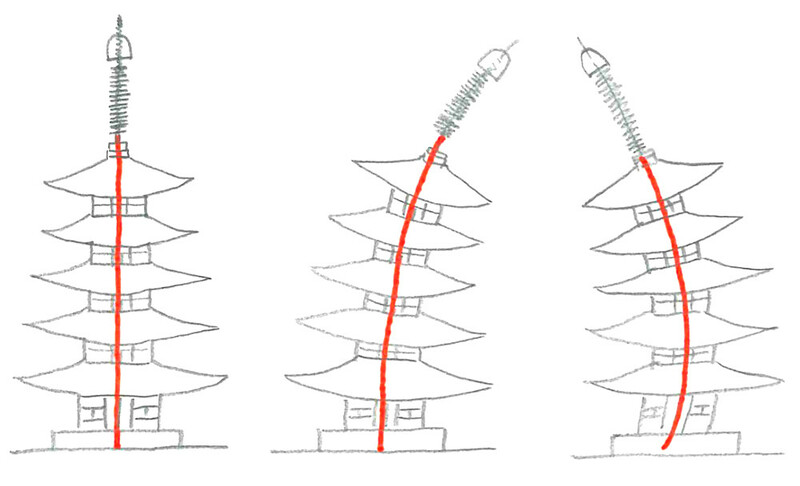 This design makes the pagoda in its entirety resistant to shaking in the event of an earthquake. It has also been applied to many architectural designs in Japan. 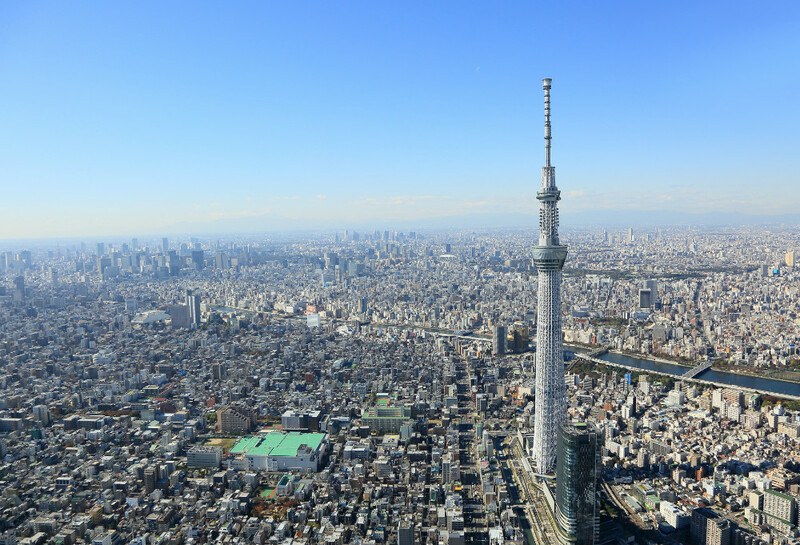 The most famous example is the world’s tallest tower, the Tokyo SkyTree, which is known to be built based on the “Shinbashira” design principle of the five-storied pagoda. 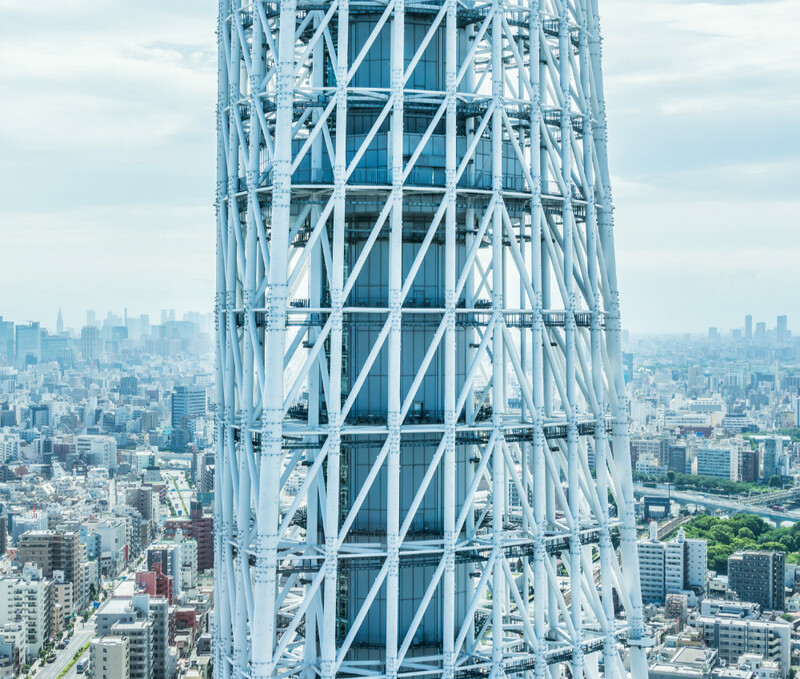 If you get the opportunity to visit the Tokyo Skytree, make sure to take a closer look. 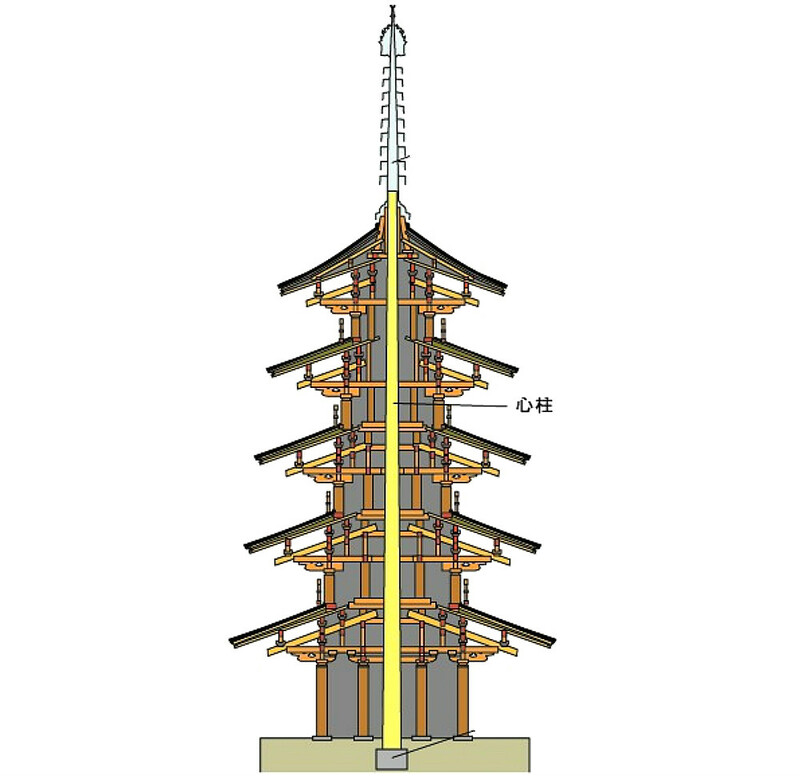 Like the pagoda, there is a central pillar not directly connected to the tower so that it cancels out swaying during an earthquake. An enlarged view of the central pillar. 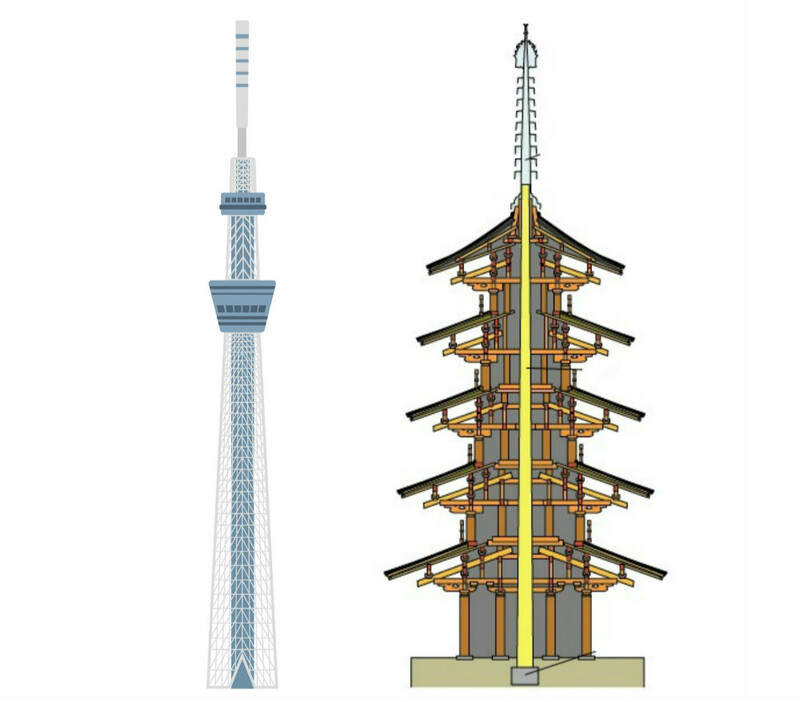 Compare a five-storied pagoda with the Tokyo Skytree and you realize it is nothing but a simplified and taller pagoda. 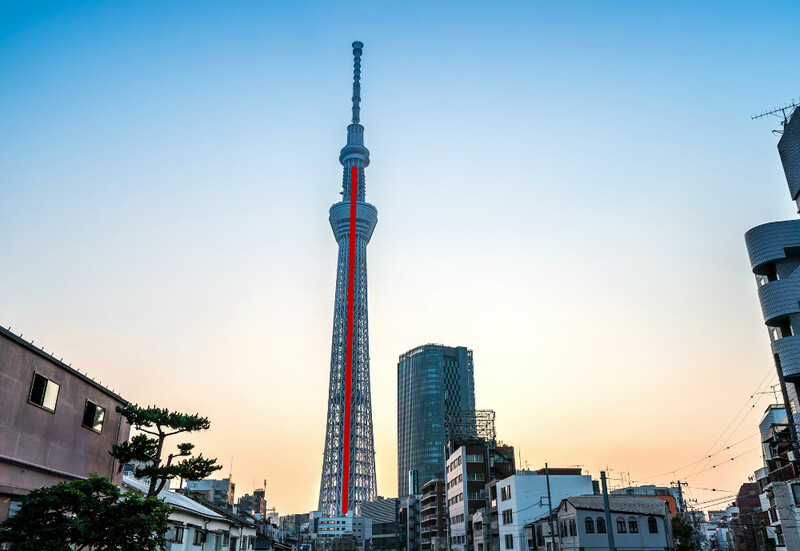 When you look at the Tokyo Skytree, you can’t help but be in awe of the Japanese ability to blend the traditional and modern.